The Dante Alighieri Society in Johannesburg’s cooking classes are the perfect solution for those looking to become culinary whizzes and cultural moguls. Their ‘Extraordinary Italian Taste’ series offers a sample of authentic Italian gastronomy. One where vivality, food and good company are the ever constant ingredients of La Dolce Vita. 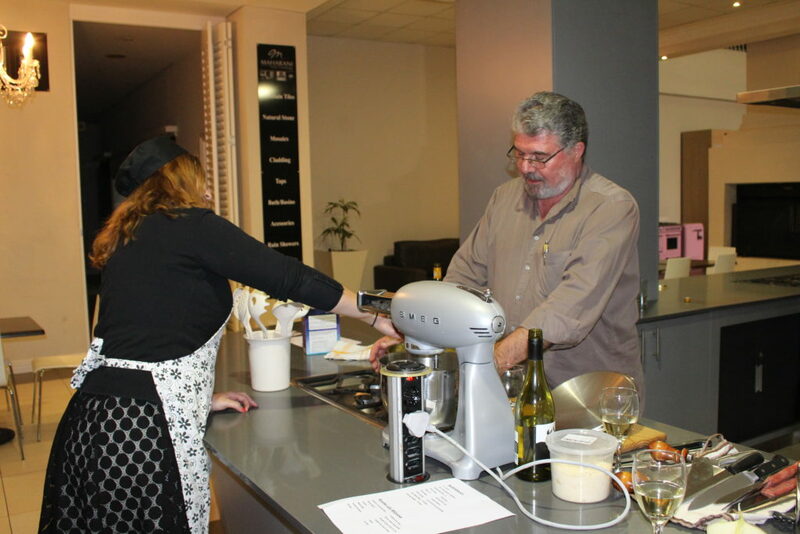 My Italian Link’s Kat Couzyn took the opportunity to attend an evening cooking class. She came back having learnt more than just a risotto recipe! Kat and Roberto working together to make a delicious dish ! I jumped at the chance to join one of Dante Alighieri’s evening Italian cooking classes this year. Who doesn’t love Italian cuisine? What’s more, I fancy myself as Gordon Ramsay’s next big rival (despite the fact that I can barely boil an egg). So, the cooking classes represented a step up in my all but dazzling cooking career. From the moment I parked my car, I was made to feel welcome and at home. Dante Alighieri’s Valentina Poppi ushered me in from the parking lot like an honoured guest, smiling sincerely from ear to ear. As I was led through the truly impressive Smeg showroom to the kitchen, excitement mounted. Smeg’s beautiful kitchen appliances are a sure-fire way to get you in the mood to cook. I’m sure some of those fridges have better interior decor than my own flat! The cooking instructor Roberto Mele from Bedfordview’s Italian Club. Our instructor for the evening was Roberto Mele from Bedfordview’s Italian Club. Each of the cooking classes is given by one of 15 talented chefs from Osteria Rossa, Piccola Rossa, Locanda Rossa, Mastrantonio Illovo, Luca’s Restaurant, Belfiore Italian Deli, Cafè del Sol, Franco’s Pizzeria & Trattoria, Tortellino d’Oro, La Cremosa, Er Buco, Assaggi, Fumo and Cremalat Cheese. Roberto is everything you’d hope to get from an Italian chef! His hearty conversation and humour are punctuated with quintessential Italian gesticulations – adding to the feeling of authenticity. He’s also quite the historian. We were regaled with an historical account of how French cuisine is actually owed to Italian cuisine. Apparently Queen Caterina de’ Medici who imported Italian chefs and ingredients to Paris upon her disappointment with the palace spread. 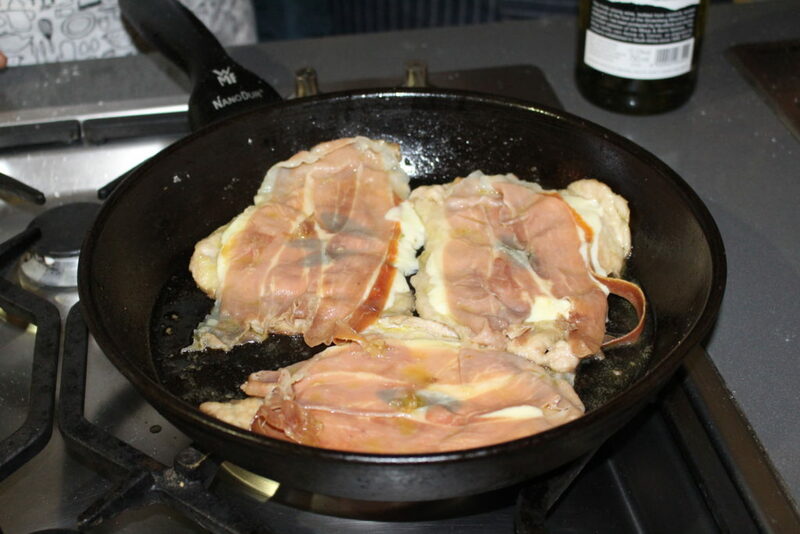 Our mission for the evening was to conquer saltimbocca – thin fillets of veal wrapped in mozzarella and parma ham. A side dish and risotto alla Milanese (with Milan’s signature saffron addition) was on the menu, too. 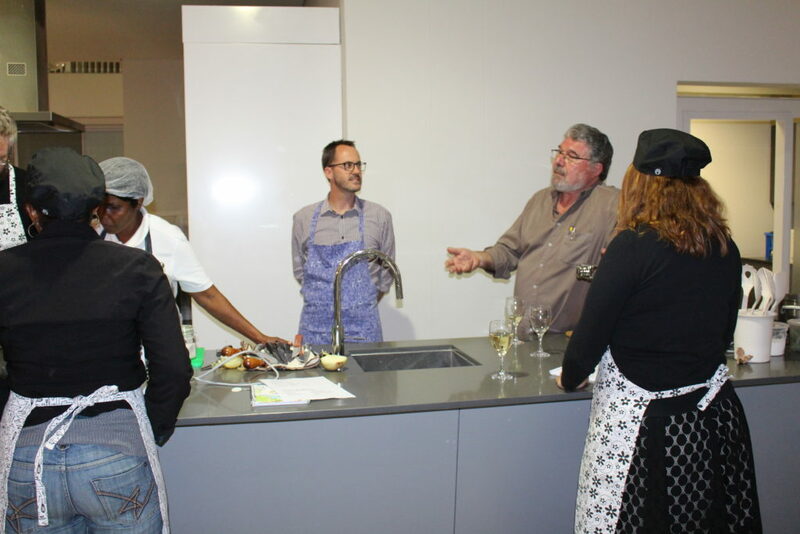 Under the supervision of Roberto, along with his sous-chef, Cecilia, the class took turns adding wine to arborio rice. We floured veal and added seasoning to everything in sight. Each technique was lovingly explained and absorbed. Each recipe’s origin was brought to light. Therefore, the class felt a sense of pride for what we’d created, and respect for Italian cooking itself. Cooking saltimbocca, thin fillets of veal wrapped in mozzarella and parma ham. By the end of the session the room was filled with laughter, chatter and the most incredible smells. If there’s one thing Italians and South Africans have in common, it’s a love for mealtimes. This makes it apt that the lesson ended with us all around a table. Our meal was savoured alongside animated stories of culture and family. Dante Alighieri’s Extraordinary Italian Taste cooking classes are held in collaboration with Smeg, the Accademia Italiana della Cucina, the Italian Chamber of Trade and Industry, and Ospitalità Italiana. All types of foodies are welcome: businessmen, housewives, even students! Cooking classes are held every Wednesday morning and evening for 3 hours. 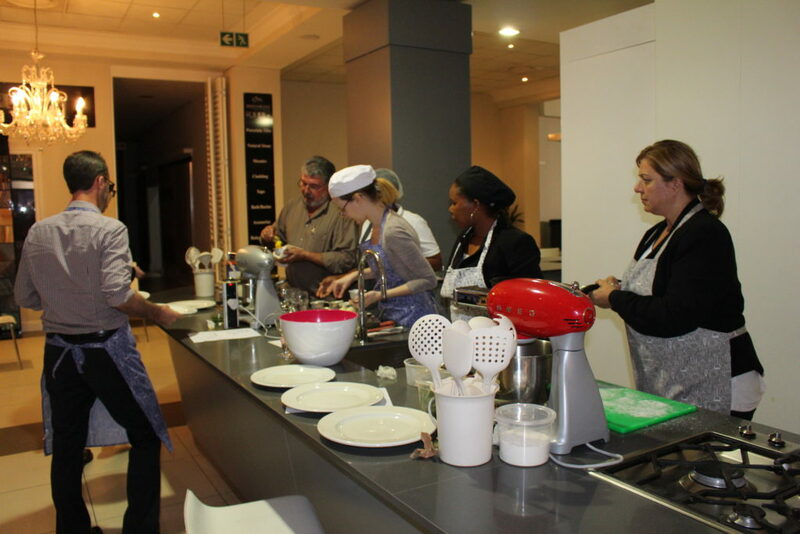 Evening classes take place at the beautiful Smeg showroom in Bryanston. Morning classes take place on the Dante Alighieri Society’s premises in Houghton. Just one lesson illustrated the full extent of fun to be had and knowledge to be gained. One can only imagine how fulfilling a full course might be! Wednesday Mornings: 09:00-12:00 at Società Dante Alighieri Houghton. Wednesday Evening: 18:00-21:00 at the Smeg Showroom, Bryanston. R3000 for 9 lessons or R1500 for 4/5 lessons.